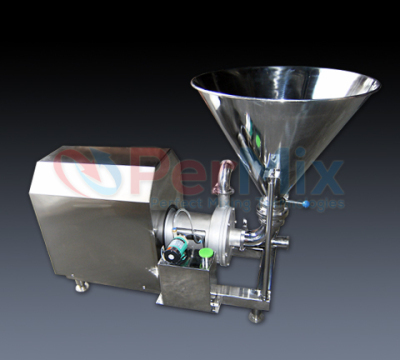 A shear pump combines the advantage of both a centrifugal pump and an inline high shear mixer. It achieves the balance of pumping efficiency and shearing energy. 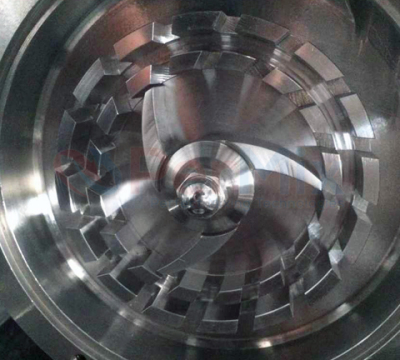 With the special impeller and slotted stator, and its highly sanitary design, the shear pump is widely used to deliver viscous materials in dairy, food, cosmetics and pharmaceutical industries. 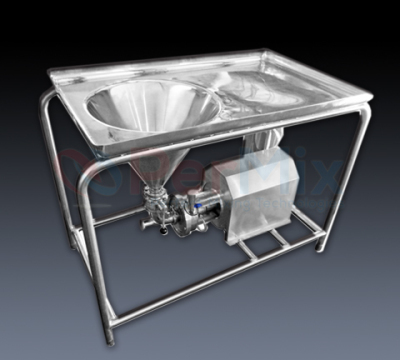 An optional hopper or a feeding table can be installed to dissolve/disperse powders into liquid in a fast and efficient way. All contact parts are made by stainless steel 316L (304 is optional for low budget). Single or double mechanical sealing is chosen according to different materials. 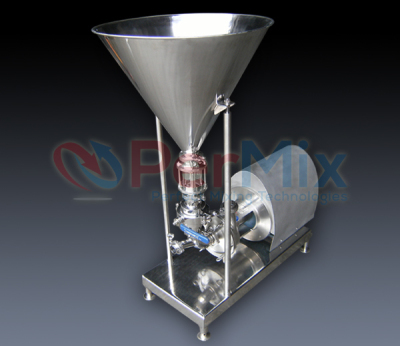 The shear pump can be easily cleaned with CIP (Clean In Place) system to save time and labor.